William Morrow Paperbacks, 9780062045126, 320pp. 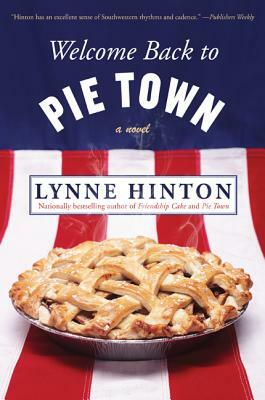 Lynne Hinton of Friendship Cake fame delighted readers everywhere when she invited them to experience the simple joys and small triumphs of the endearing residents of Pie Town—a tiny New Mexico community once renowned for its unsurpassable baked desserts. And now, Welcome Back to Pie Town for a second slice of small-town life, as sweet and tasty as the first. The recently rejuvenated Pie Town is a tiny speck of heaven on earth for most of its inhabitants, but not for one recently returned veteran of the war in Afghanistan, who now feels ill at ease and out of place—and it will take the love of a good woman and the support of the whole town to truly bring him back home again. As an extra added treat, Welcome Back to Pie Town features recipes from the novel…for mouth-watering pies, of course.